Shuvo!! 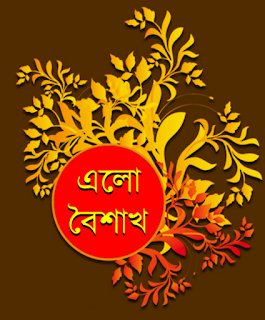 Shuvo!! 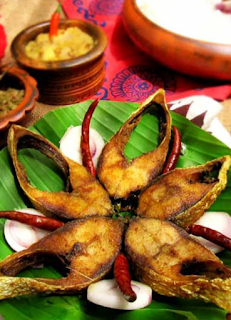 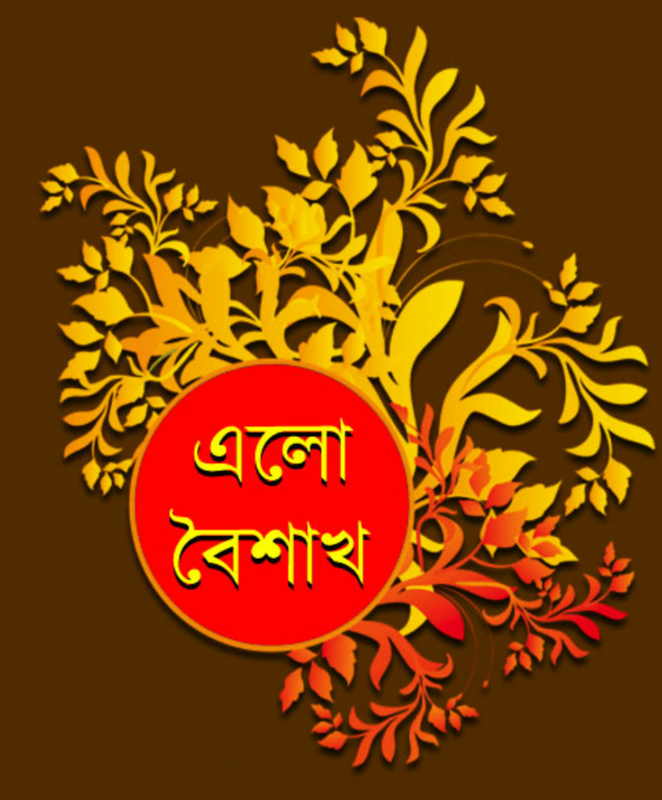 Shuvo Din Elish Mach Kine Nin, Khabo Elish Boisakher Din. R Matro 1din Asiteche Oi Din. 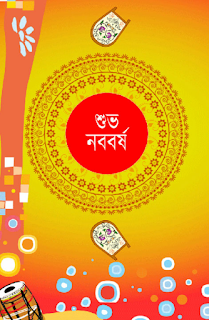 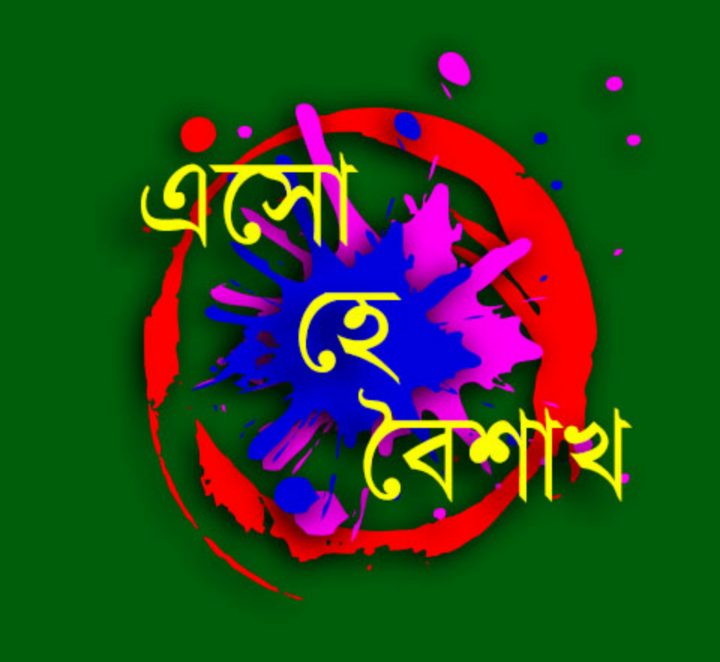 Bondhu Sobai Theko Valo Amay Sudhu Mone RekhoShuvo Noboborso. 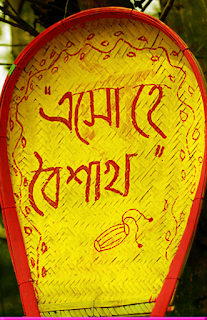 Muche Jak Galani,Muche Jak Jhora Ogni Sone Suchi Hok Dhora.Jak Puraton Sommriti,Jak Vhule Jawa Giti,Jak Osru Bbap Sudore Miliya,Aso Aso 1425 Pohela Boisakh. 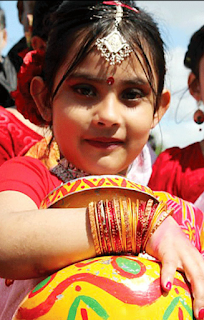 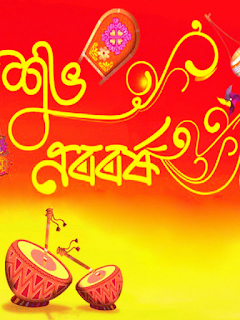 Nobo Rupe Sajo, Sajao Monta Notun Ronge, Muche Felo, Mon Theke Dukho-Bedonar Smrity, Nobo Chonde Agiye Colo. Shuvo Novoborsho. 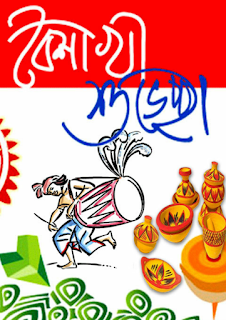 Notun Bochor, Notun Vabe, Notun Saje, Notun Kaje, Notun Anonde, Notun Valobasay, Notun Somvobonay, Chuye Jak Tomer Hridoy. Happy New Year 1425 !! 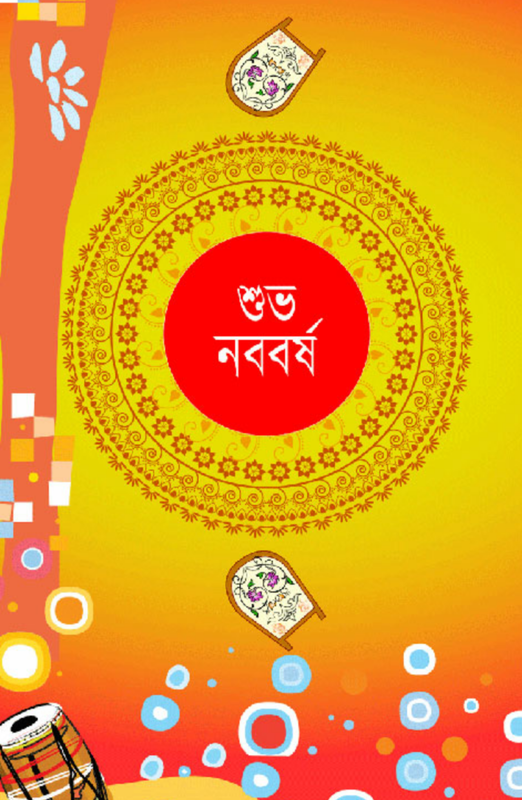 Som Gelo, Mangal Gelo, Gelo Budh Bar ....brihospoti Bar Niye Alam HAPPY NEW YEAR.